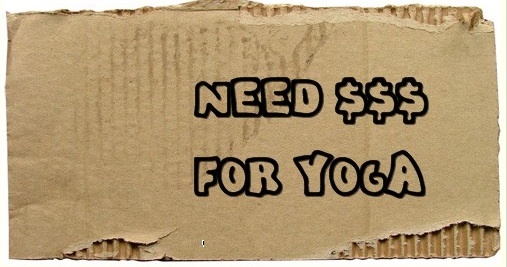 In a recent class I took, a yogi suggested a post idea to me: a summary of all free, cheap and reduced-price yoga classes in the area. Ask and you shall receive! I know about a lot of these free and cheap classes, but not all of them, so will you help me out? Will you take this survey and share with me where you take any and all free, complimentary, pay-what-you-can, donation-based, and reduced price yoga classes? Many many thanks in advance! Active Sol has several community classes; $7 each cash only. Monday 7-8:30pm, Wednesday 6-7am, and Sunday 11:30-12:45. Wednesday basics Vinyasa class at Chamblee’s Keswick Park – there is a Groupon Now deal that runs every Wed for $6 – but you can get in for $6 just by mentioning the ad. Ancient of Days Yoga Center in Newnan does a community yoga class for 5$ on fridays. I’ll fill out the survey as well. Red Hot Yoga on saturdays at 12:30. Free/Donation only “For the People” Power class with Jess!